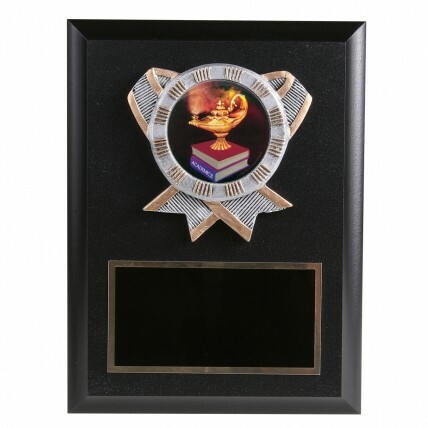 Our Academic Knowledge Resin Plaques are great awards for scholars! 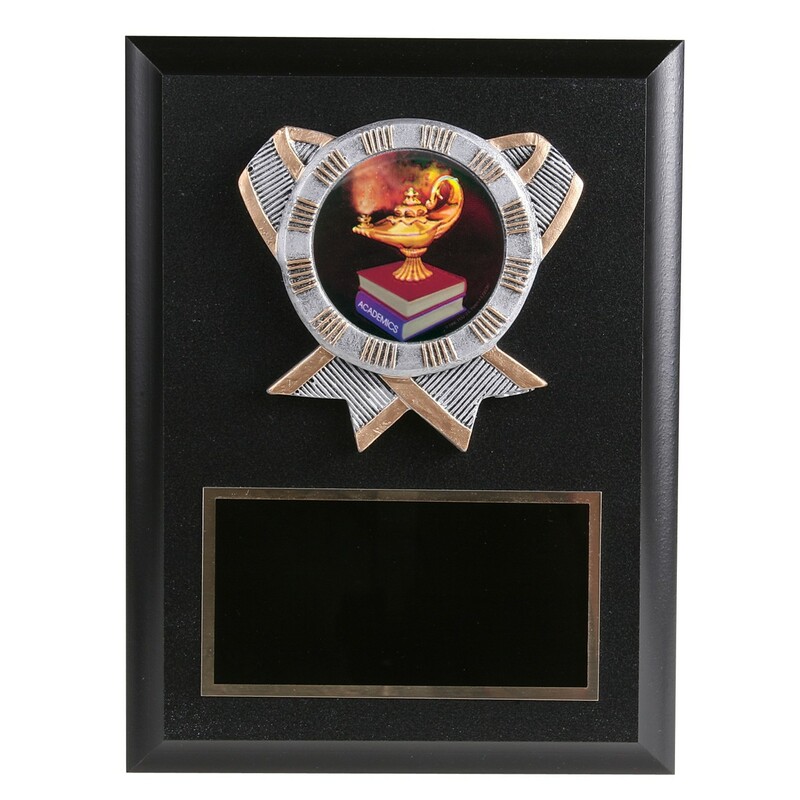 Measuring 8 inches tall by 6 inches wide, this black plaque features a resin ribbon with pewter coloring and golden highlights. Inside is a full color insert of a lamp of learning resting in a stack of books. At the bottom of the plaque is a black engraved plate with golden letters.